SEO professionals come from a variety of backgrounds. Some are programmers, some are entrepreneurs, some traditional marketers, some journalists, some even used to be rappers. At my company, our SEO team has been winning a lot of work and growing lately so I’ve been spending a lot of time interviewing candidates for open roles. SEO professionals have diverse skills, but there are a few things I look for in every candidate. 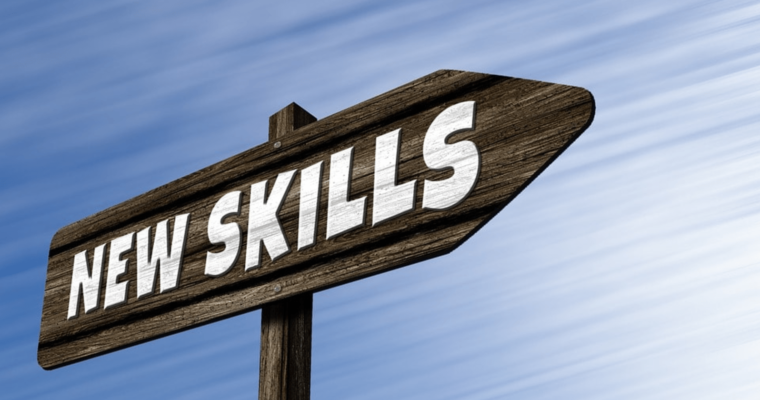 This isn’t an exhaustive list, and I’m sure there’s plenty of people out there who have succeeded without these skills – but what fun would a list be without some controversy? Here are the top eight skills I look for when hiring an SEO. This is a hard one to measure, but it’s important for SEO pros to be able to have an analytical mind that’s capable of differentiating correlation and causation. What we should do about it. There are many ways to measure this, but I stop short of asking them to figure out the shortest way to cross a bridge with a shared flashlight or the classic lightbulb problem. Instead, I’ll give hypothetical interview questions to help me understand their thought process. There are no right or wrong answers to these questions, but they help me get an idea of a candidate’s thought process and how they attack problems. I want to see that they understand the problem from multiple angles and use data and logic in their decision making. An SEO professional who can do their own keyword research and author content that includes it is incredibly more valuable. We aren’t just talking about writing articles like this one or speaking at conferences though. I want an SEO who can convince internal teams and clients to do the right thing and that comes from speaking at meetings and writing decks, case studies, POVs, etc. All of those encompass speaking and writing skills. SEO requires not only confidence but the ability to distill complex ideas and thoughts down into concepts that non-SEO people can understand and make decisions with. I’m sure there’s going to be some debate about this. I’m equally sure there’s tons of SEO pros doing a kickass job right now with no programming knowledge whatsoever. The truth is, they could be doing even more of a kickass job with some programming knowledge. As SEO professionals we make recommendations about page speed, rendering, lazy loading, server side redirects, microdata tagging, and basic HTML tags. All of these conversations go easier if you can speak with the developer and offer insights rather than just demands. Understanding where the developer is coming from when they push back is amazingly helpful at reconciling differences. Estimating the level of effort vs. the SEO impact is also key. I’m not saying SEO pros need to be able to write code, but they need to understand the coding implications of the changes they ask for and what that entails for the developers, what the common mistakes and objections are, and even how to overcome them. There are literally hundreds of crazy technical things that become easier to find with some basic programming knowledge, too. Like lazy loading for example. Many of the common plugins will use a srcset attribute but not a src attribute for images – and Google won’t be able to see those. I know that, because I tested them all and implemented them all – things I couldn’t have done without some programming knowledge. Over the course of my career, I’ve made so many great relationships and learned so much just by hanging out at the conference bars. To do that, however, you can’t be a creep and you have to be able to get along with others. If you spend your bar time arguing about politics you’re going to miss out. You’ll also need to be able to hold your liquor or respectfully decline – as many great SEO professionals love to drink. Reminder: the conference bar is never the place to look for a new girlfriend/boyfriend but it’s a great place to talk about SEO theory and tactics. Nobody wants to hear about that one specific problem that only applies to your site and takes 10 minutes to explain (unless you’re buying the drinks). However, they will love to hear about new and exciting things you’ve seen or done. SEO professionals can save a lot of time if they can log into Adobe or Google Analytics and pull their own data. A basic understanding of business KPIs is also required for proper SEO strategy. I offer my teams the opportunity to get Adobe and Google Analytics certified because even if they aren’t pulling the data, the understanding helps – but also, most of the time we end up pulling the data. If you aren’t able to pull and segment data, you’re likely missing out on some insights. Pulling the data isn’t enough. Sometimes you need to manipulate it a bit to get the insights you need. I’ve met a lot of SEO pros who can’t do the simplest tasks in Excel. Vlookups, Concatenates, and IF statements (among literally 473 other functions – seriously there’s 476 built-in Excel functions) should be part of every SEO’s toolset. Over the course of my career, I’ve created countless Excel templates that help solve everyday problems. Whether it’s turning a Screaming Frog crawl into an XML sitemap, measuring algorithm changes and their impact with GA/Adobe data, creating custom CTR by position curves, or quickly bucketing keywords from search console into brand/non-brand or by product groups, Excel is invaluable. The thing I both love and hate about working in SEO is that it doesn’t just turn off at 5 p.m.
Marketing isn’t one of those jobs that you leave at the office every night. It stays with you in your brain. To truly be a great at SEO these days you have to have the internal drive that forces you to keep learning. Whether it’s a new programming language, a new framework (WordPress, React, Angular, etc), a new search engine standard like Schema or AMP, or understanding machine learning, there’s always something to learn. The candidates who jump to the top of my hiring list are the ones who have their own side project websites or who create their own tools to solve their problems. For example: using the webmaster tools API to automate data pulling and formatting for reports. I just hired that person. SEO also requires adaptability and thick skin. Our industry changes, and sometimes we have to admit to clients that directory submissions, PageRank sculpting, link disavows, or other things we once recommended aren’t really the best idea anymore. We deal with a lot of ups and downs in the SEO industry – and often at a fast pace. It’s important to sometimes take a step back and remember that we aren’t saving lives, we’re just doing marketing. As stressful as the job can be, most of it can wait til tomorrow. A sense of humor goes a long way toward making our jobs a lot more enjoyable and productive. Are we making search engine optimization too complex?